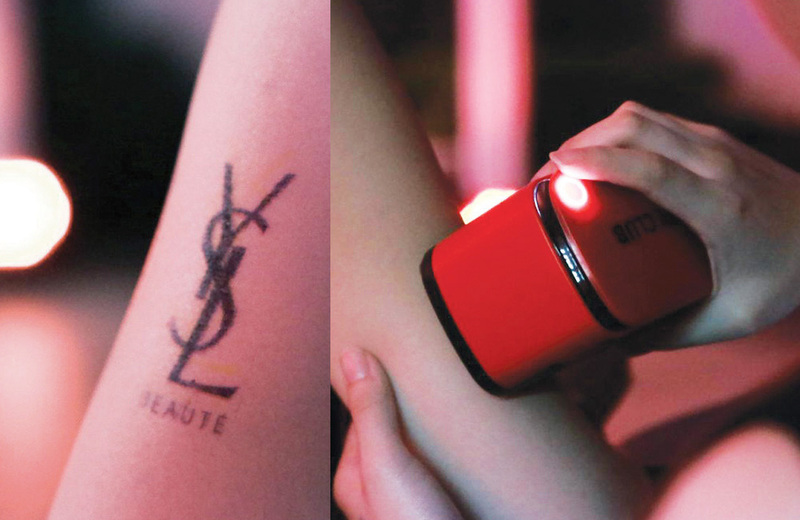 Last year, we applied digital technology in #YSL BEAUTY NIGHT OUT Party. This year, with more innovative solutions, we again brought the #YSL BEAUTY CLUB digital party up to its new height. Party-goers, including celebrities Aaron Kwok, Charlene Choi and other trendsetters, gathered to celebrate the night and previewed the all-new Tatouage Couture collection with various eye-opening digital experiences. The beauty gurus explored different highlights such as temporary YSL tattoos, special ‘Lipstick Graving ATM’ machines, ‘Printer Lab’ and ‘Black Opium Video Booth’. They also built their real time personal album to share the night bash instantly. Your name laser-engraved on your favor! To promote its all-new lipstick collections, a first-of- its-kind “Lipstick ATM” with laser engraving tech was installed. 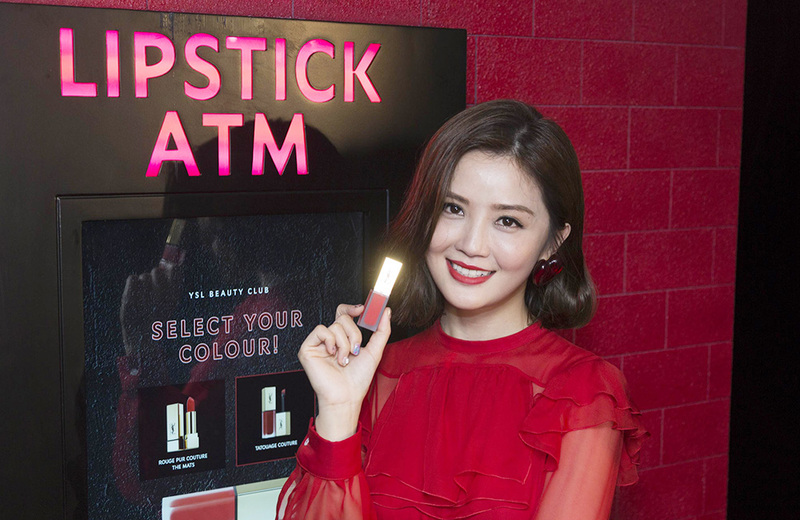 Local celeb Charlene Choi enjoyed the name engraving service and purchased her unique lipstick instantly. 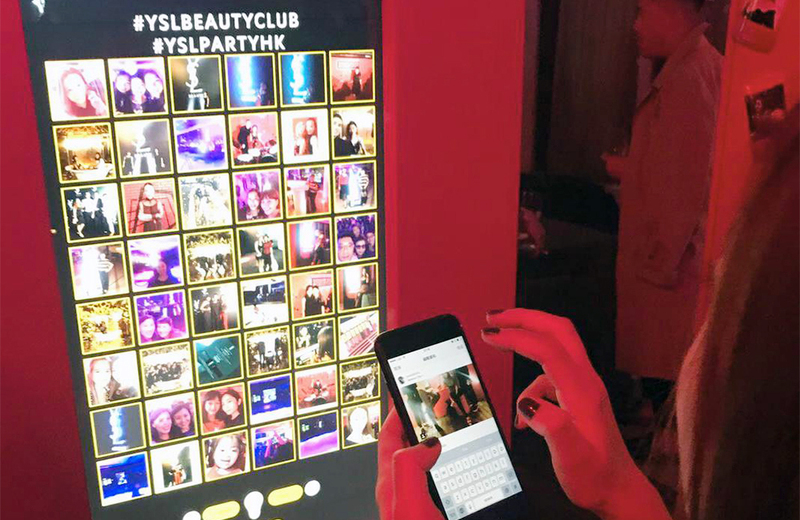 Party-goers could customize and download their real time personal album through “YSL BEAUTY CLUB HK” mobile app, then browse and share to their friends the photos and videos of the bash via SNSs. The taken photos could also be printed at “PRINTER LAB” immediately. To echo the theme of newly TATOUAGE COUTURE collection, party-goers were invited to the “TATTOO STATION” to get a thematic tattoo. The tattoos were applied onto skin by a temporary tattoo “printer”, bringing a brand-new beauty experience to the party-goers. 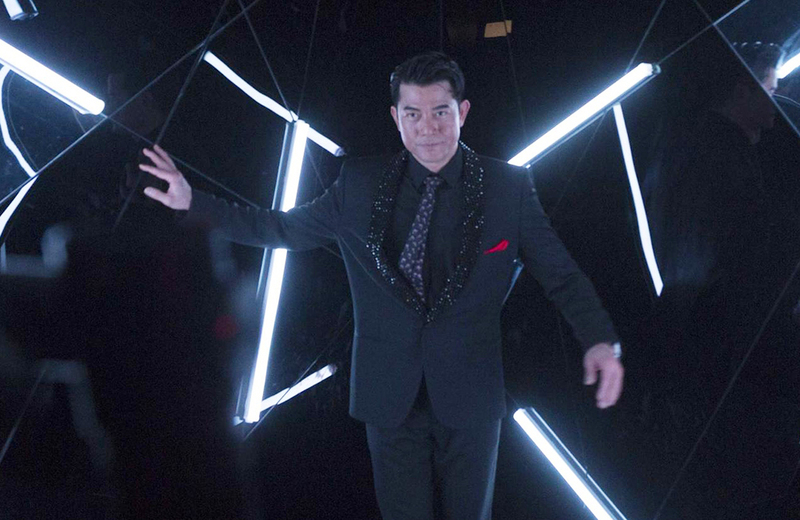 Celeb Aaron Kwok also showed up and was invited to dance and pose on a special “BLACK OPIUM VIDEO BOOTH” decorated with sparkling neon theme. The recorded videos were sent to all party-goers directly in order to allow them to instantly update their own SNSs.